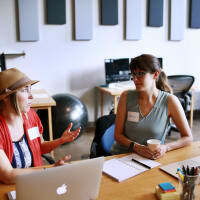 This article was originally written for my personal blog. I am republishing it here for the DEV community. Here's the deal: you need to change the code to make this awesome new feature work, but that code is not covered by an automated test. How do you know you didn't break anything when you're done? That's a typical scenario I frequently face. 🤞 Cross fingers, do the change and hope nothing breaks. Manually test different use cases you know. After all, you're just adding a feature. You know the codebase, more or less. What could go wrong? 🤔 Spend time to understand, test and refactor the code before changing it. "Make the change easy, then make the easy change". Sure, it will take some time. You didn't estimate that task to take that much time actually. That's unexpected complexity. But, in the end, you will leave codebase in a better state and you'll be able to go faster. I clearly think the first approach is shooting yourself in the foot − except if you know you won't need to maintain that code. Heck, it seems you're maintaining this code already, otherwise, you wouldn't have this question in the first place! If you want to keep moving fast without breaking everything, there is a better, more professional way. The second approach would be ideal. Working effectively with legacy code requires putting the existing code into a test harness, first. Then, you can refactor. But, it takes skills to write good tests. You should practice these skills though, they will help you with these – so common – scenarios. Now, I hear you: client demo is next week and you need to ship that cool feature before. You need a pragmatic solution to the problem. You're gonna take this shortcut consciously so you can deliver, then you'll pay the technical debt back. Now, are you stuck with approach #1 then? You don't need to understand existing code to do so. That's the good news. There is a pre-requisite though: you need to take a snapshot of your code behavior, meaning that you should be able to stringify the output of your code, including side-effects. If your codebase was not designed with tests in mind, you probably need to rely on Michael Feather's book to help you get started. It is simple to set up – almost no configuration needed. It has a wonderful test runner baked in, with a powerful watch mode. Finally, and that's what you're looking for, it can take snapshots. 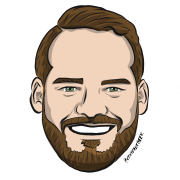 Jest runner in action – damn it's so cool! Now, I need an example. 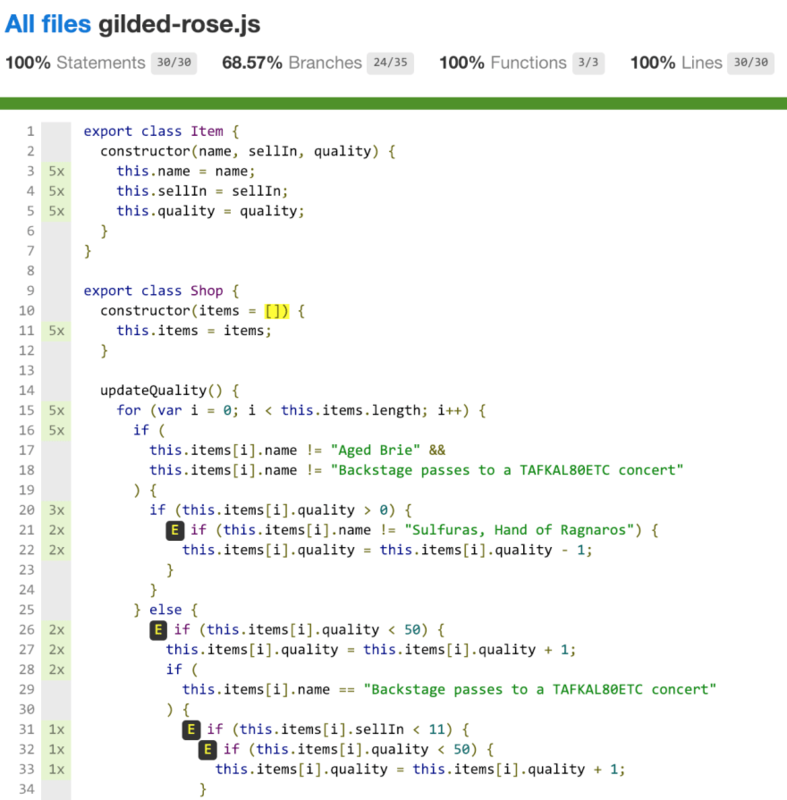 I'll use the Gilded Rose kata to illustrate that. It's an exercise to practice refactoring techniques, which is really convenient here. I made a JS starter of the kata that you can use. Then you have Shop which takes a list of items and have a method updateQuality() that will update the quality and sellIn attributes of every item. There is a bunch of logic that's currently supposed to work. It is not pretty though, so I won't put it here but give you a link to the beast instead. I could have returned items, but I'm simplifying things a bit here: I'm only testing a shop with one item. That's because I already know the behavior is the same regardless the number of items. It might not be your case. You should adapt to your situation, this is the tricky part. Now I have a doUpdateQuality(name, sellIn, quality) I can call from my tests. It will instantiate the shop, call the method I'm testing and return me the updated item. At this point, I generated a first snapshot, given a set of parameters. Jest will tell me if any regression happens to that scenario. Can I go refactor updateQuality() now? Nope. Because I'm not covering all the code with this snapshot. This, I can know thanks to the test coverage! All the red lines, I don't test. Test coverage can only tell you what code is not tested, nothing else. So far, so good. I'm covering every line and branch. Can I go refactor updateQuality() now? Well… not yet. Remember when I said test coverage can only tell you "what code is not tested"? That means it doesn't tell you if the covered code is properly tested. This is why setting a test coverage objective to ensure test quality doesn't work. Test coverage tells you parts that are not tested – and that might be fine not to test these parts. Other than that, it says nothing. To me, good test coverage comes as a side-effect of a good testing strategy (TDD). It's not a target. To ensure the covered code is actually tested, I'm gonna introduce little mutations in the code. The goal here is to see the test fail. If I change the existing code and a test fail, I'll feel safe refactoring this code! When the test has failed, I revert the mutation and move to another line. What mutations should you introduce? Again, it depends on what you're testing – sorry. Usually, mutate the side-effects that you're capturing in your snapshot. In my case, that means I don't have to change ifs, but only the updates to item. There are 8 of them. Before going further, I revert the mutation in the code. Don't let mutations live long. Snapshots are powerful, but they don't help you understand what the code is supposed to do. Once the code is refactored, you should pay the debt back: write proper, comprehensive tests on your clean code to replace your snapshots. If you do so, this part of the codebase will be easier to maintain in the future, and you'll add new features faster. I like it because it expresses the intention better: "current behavior should be preserved for all these scenarios". Additional Jest matchers for snapshot testing. Requires Jest version >= 23. 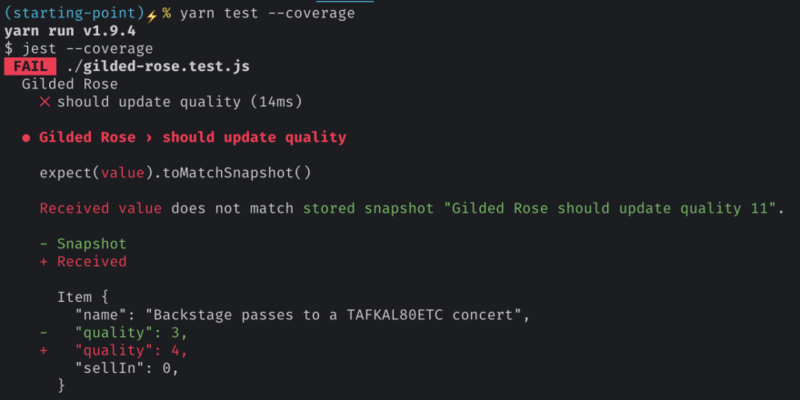 If you find yourself in a scenario where you want to add tests after code has been written, you might want to use Jest snapshots. A typical scenario is working with legacy code: it has no test, but you need to change/fix it. You should set up a test harness first, to ensure there would be no regression. 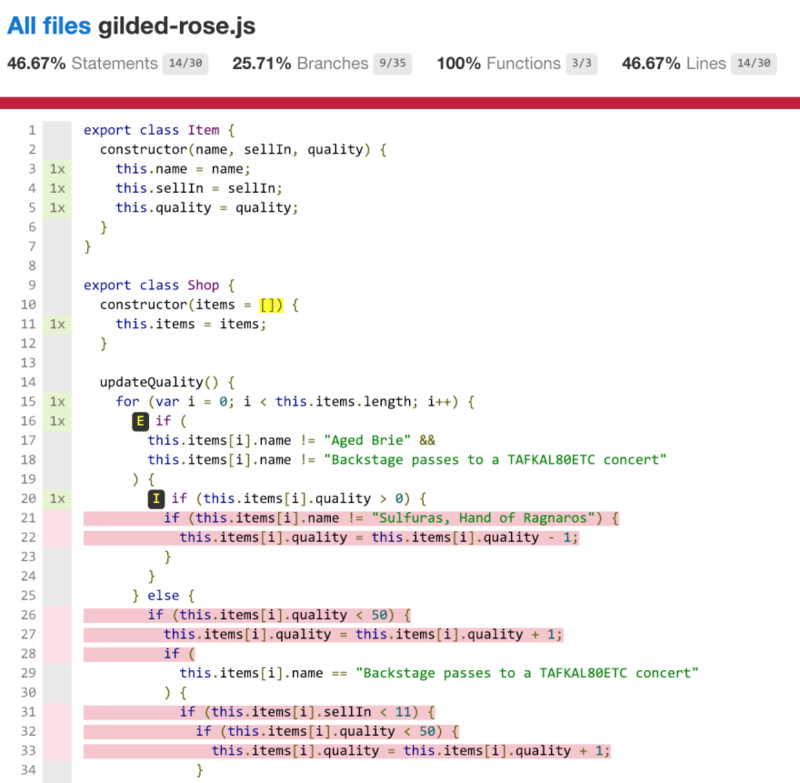 Jest snapshots make this job easier. This lib adds convenient matchers to work in such scenario. Consider the previous example: you don’t know what a piece of code precisely does, but you don't want to break existing behavior. One approach to use in this situation is called "Approval testing". It can get you test coverage quickly, without having to understand the code. I would disagree on the assertion that snapshots had few valid use cases. First of all, their most valuable effect is to make changes visible. However, you need to review those changes to make use of the snapshot. Then, in many cases, you'll expect some more complicated object to be returned. While you can write down that object in the test and handle each necessary change manually, you can let snapshots do that for you to the same effect. 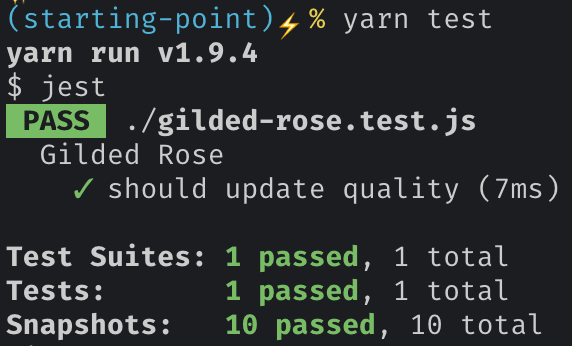 Especially for test driven development, having the difference in output easily visible is a good way to verify the incremental changes with less work than you'd otherwise have. Obviously, the snapshot is then but a supplement to an actual test, but it will ease your work nevertheless. I don't see how you could TDD (as "write the test before changing the code") using snapshots. Do you have an example in mind? Is my test actually testing the complete object? If I only care about some properties, I can use Jest's toMatchObject() for example. 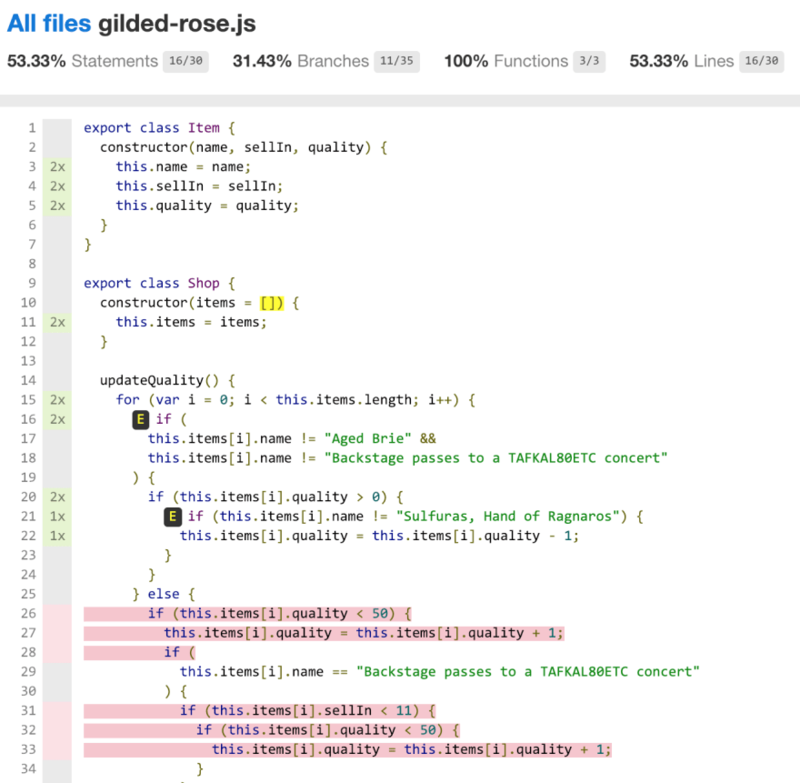 Can I refactor my tests so it's not that difficult to see the expected changes? I might come up with a factory, for example. But this often happens to me when I didn't write the tests first and I'm working with existing code, which is complex. I also realize that if it's complex for me to use in tests, it might be complex for other consumers of this code to reason about/use. Either way, snapshots are "anti-regression" tests. Which is a valuable tool that I like to have. But when possible (and relevant), I try to think about what I want the code to do and I write an automated test first. You can actually write the snapshot itself as if it was code. The main advantage over toMatchObject(...) is that you can also use property matches like Any<Date> in there. I wonder though: couldn't you use expect.any(…) to achieve the same, in your test code instead? Not sure. Let me test later, have a bunch of meetings ahead now. It actually seems to work. "To me, good test coverage comes as a side-effect of a good testing strategy (TDD). It's not a target." "I like it because it expresses the intention better"
Liking these parts. :) Nice write-up! I'm hearing things about mutation testing being the 'better' quality metric for a test suite (compared to coverage which indeed proves very little). Not sure (yet) how to do that in CI, but this article gives some inspiration on how to use it while writing tests. Interesting topic. You might want to check out JSON schema if you use snapshots for object validation. Snapshots are usually brittle because they check for equality but can't account for equivalency (is it this string, not a string -- something that can be somewhat mitigated by logic producing a lot of possible snapshots for testing), whereas schema validation can check for structure, type and even patterns/constant equality. Even more: you can generate randomized testing data from a schema at runtime so that your tests are even further decoupled from the actual test data. Thanks for sharing Marc, this could have indeed interesting use-cases. In the blog post example, I think snapshots are what we want to use though. We don't want to check just the structure, but the actual content of the data. Thanks for writing this post. I keep hearing about including tests in code but never know where to start.